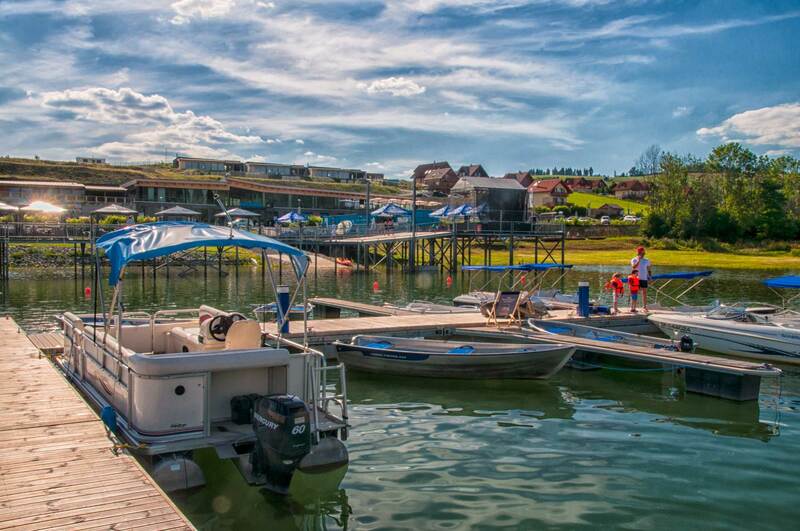 Dear friends, use our boat rent services and turn an ordinary day into a special one. 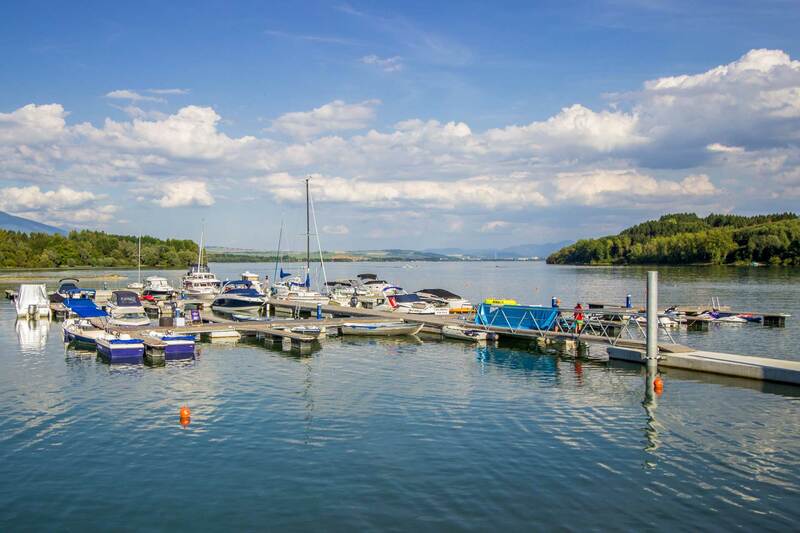 Whether you wish to enjoy a perfect fishing or just explore the beauty of Liptovská Mara, we are here for you! 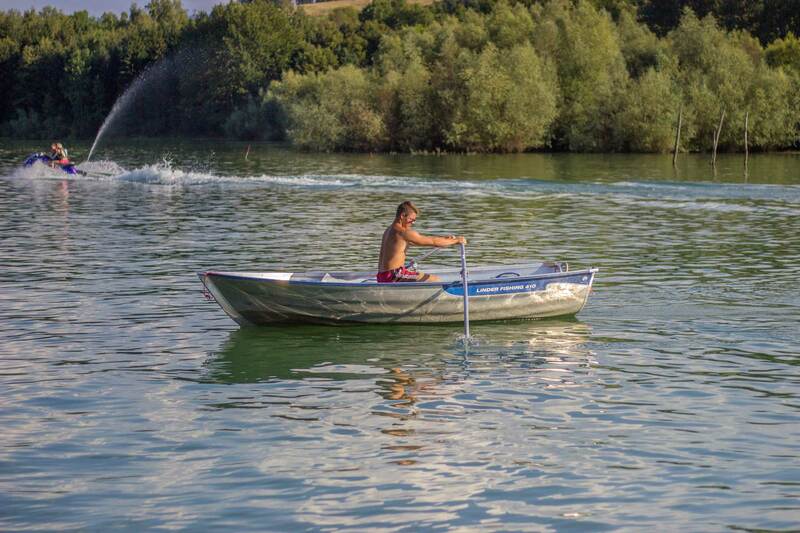 We have quality Linder fishing boats, canoes and water bicycles. Little captains will certainly appreciate small rowboats with paddles and the bigger and more active ones will appreciate our motor boats. We have also our own water security/safety staff to keep you safe. Tip 4U! 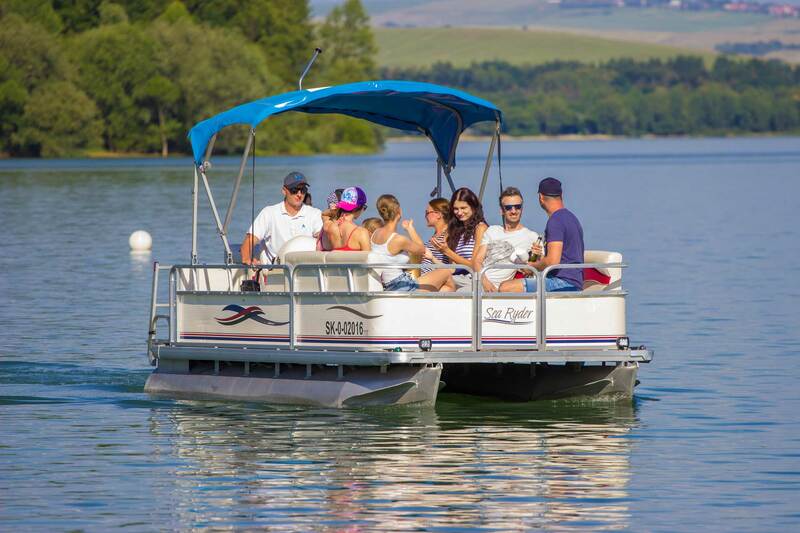 Tourists love one hour sightseeing cruise on the Sun Tracker catamaran around the Liptovská Mara lake. 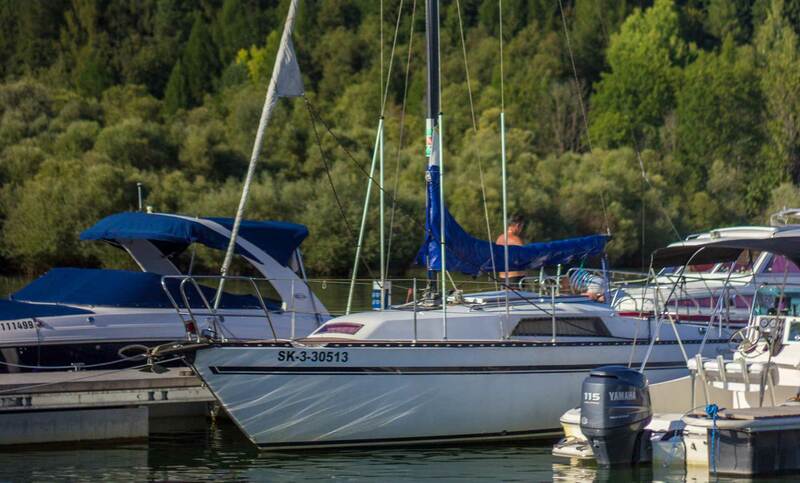 Our captain will tell you about the history of the lake and show you all beautiful bays and breathtaking views. Book your tour for just 10€ per person. Important! 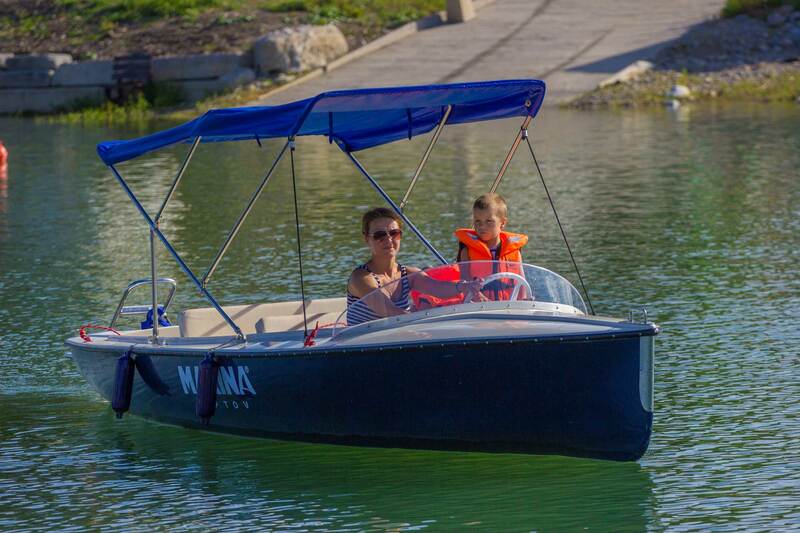 Our boats with their own engine driven by the power up to 4 kW do not require any professional licence for a small boat driver and are ready for everyone. 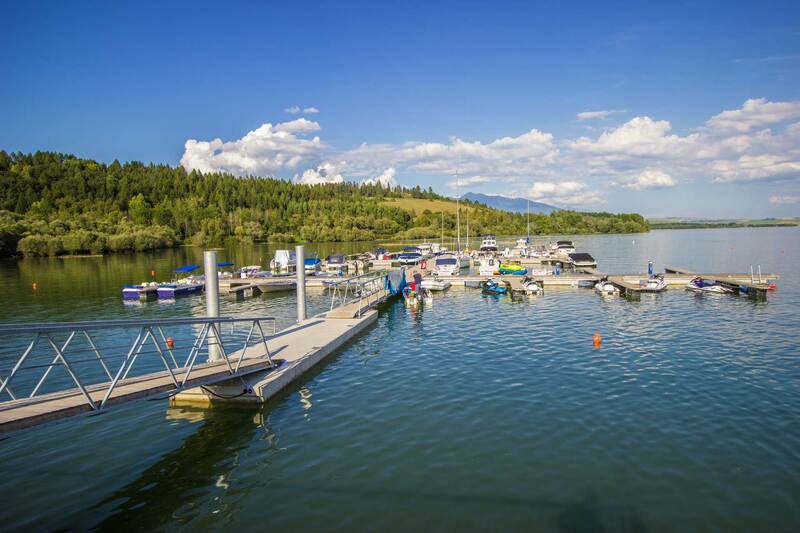 So just visit us and enjoy your fantastic day on the water. Please book your boat on the reception or by phone +421 948 620 002.